ถอดความจาก Thelma Ngoma. Rains were too little, too late. The New Age Inside, Monday, November 23, 2015, p.22 และ Tawanda Karombo. 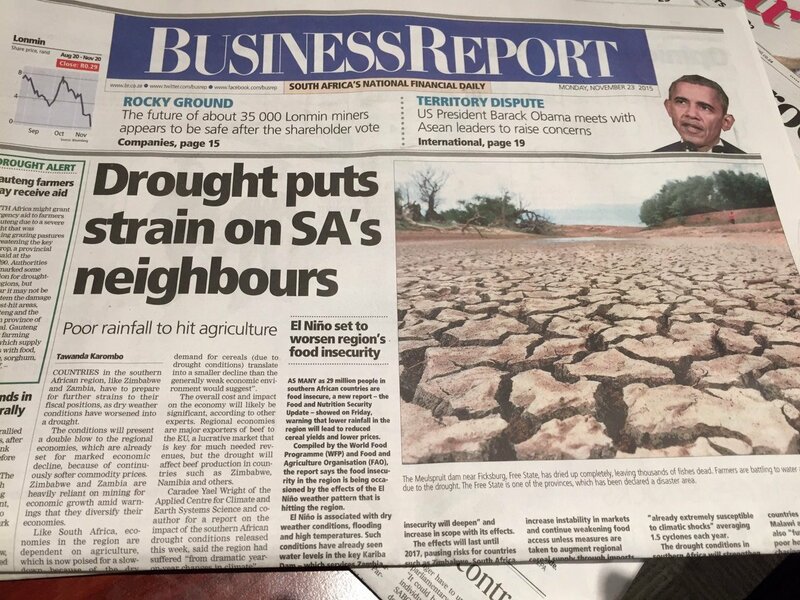 Drought puts strain on SA’s Neighbours. Business Report, Monday, November 23, 2015, p.13.